The NordicTrack Elite zi treadmill offers state-of-the-art workout programming and entertainment, advanced deck cushioning and a powerful, quiet motor. One of the best bits of information you’ll learn from reading NordicTrack treadmill reviews is that these machines are well regarded by serious runners, and are consistently among the best selling treadmills on the market today. UPDATE: The Elite Zi treadmill has been phased out and replaced with all new upgraded models. 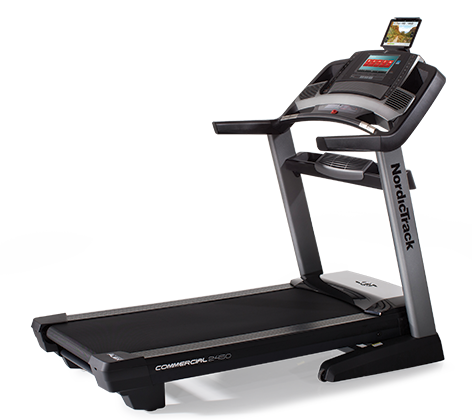 For a comparable machine check out the newest NordicTrack treadmills here. Experts are very happy with many models from NordicTrack, and the Elite zi treadmill holds its own among them. It has the same spin-balanced, direct-cooling, commercial pro motor as the higher end machines. And you find that the roomy 20" x 60" tread belt comes with adjustable cushioning, impacting your joints up to 33% less than road running. The built-in speakers, with 3" high-excursion drivers, will blast your tunes or instructions from the personal trainer on the iFit workouts. By the sound of the feedback, owners writing their own treadmill reviews are reporting the Elite zi and other sibling NordicTrack machines are all the rage. In a field once dominated by names like Smooth, Sole, and Precor, this brand name has become a contender. 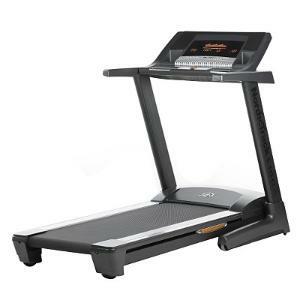 The NordicTrack Elite zi treadmill is the new 2009 model that replaces the best selling Elite 7000 model from 2008. At $1499, the Elite zi gets a make over with a sleek design, more powerful motor, and 26 built-in workouts -- a different workout every day for almost a month. Recommended.